Could Facelift Surgery Eliminate Your Acne Scars Too? The acne-ridden years of adolescence can be painful to think about. But what if you had a visible reminder of those self-conscious pimples every time you looked in the mirror as an adult. Acne scarring is common, and it can be quite severe for some people. Acne scars are often called pits or depressions in the skin. Some acne scars have a rough, “orange-peel” appearance. Regardless of how severe your acne scars are, they can drastically compromise your attempt to have attractive, smooth and youthful looking skin as an adult. Fortunately, there are many treatments that can reduce the appearance of acne scars so that you don’t continue to pay the price for your acne struggles as a teenager. Creams, light therapy, laser resurfacing, fillers, peels and other treatments can improve acne scarring and help you regain a more even complexion. But sometimes acne scars are too deep and severe for these types of services to be effective. In such cases, plastic surgery can help. Sometimes there are regions of deep depressions that must simply be removed by excision and closure. In select patients, especially those with heavy anterior cheeks, deep plane cheek and face lifting techniques can be an excellent choice. 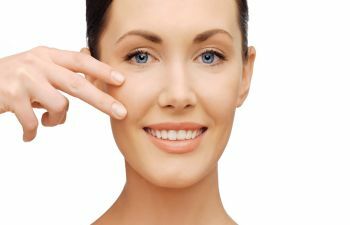 Unlike standard face-lifting techniques that are used nationwide, a deep plan facelift offers more natural and longer-term results. Using this specific technique, patients 30 years of age and older can be a candidate. A deep plane cheek lift can not only improve severe acne scarring but also create a more youthful appearance. This type of facelift works at a deeper layer of the skin tissues to lift and reposition instead of pulling the top layer of the skin tight. A deep plane facelift can essentially spread and lessen the density of scars caused by acne while also repositioning heavy anterior cheeks to a more appropriate superior and lateral position. When combining this procedure with laser resurfacing, the results are astounding. If you have aging concerns like wrinkles and sagging cheeks as well as stubborn acne scars, you may be a candidate for advanced acne treatment using a deep plane facelift. 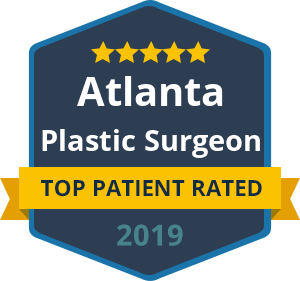 Dr. Talei is a leading facial plastic surgeon who is known for his state-of-the-art surgical skills and superior results in cosmetic procedures for the face.